Tom Lloyd Tom Lloyd was born in 1979 in Berkshire. After a degree in International Relations he went straight into publishing where he still works. He never received the memo about suitable jobs for writers and consequently has never been a kitchen-hand, hospital porter, pigeon hunter, or secret agent. He lives in Oxford, isn’t one of those authors who gives a damn about the history of the font used in his books, and only believes in forms of exercise that allow him to hit something. Learn more at Tom Lloyd’s website. 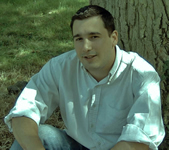 CLICK HERE FOR MORE NOVELS BY TOM LLOYD. The Land is a world where Gods rule supreme. The time of the prophecies has come and old rebellions against the gods have resurfaced, including conflicts with nature itself. The tribes of man, and other species, must scramble and conspire to be on the winning side. Into this dark time, a white-eye (a god-created superhuman) named Isak has ascended and he may be mankind’s last hope or final doom. 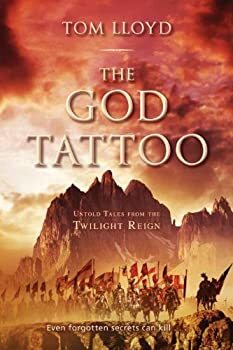 Tom Lloyd shares stories from before his TWILIGHT REIGN series in this collection, The God Tattoo: Untold Tales from the Twilight Reign. 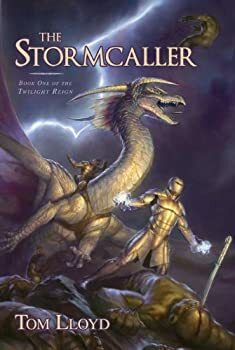 I read it because I thought you didn’t have to have read any of the TWILIGHT REIGN books in order to understand what was going on. I would say that’s not strictly true. My ignorance of the series definitely hampered my enjoyment of these pieces.